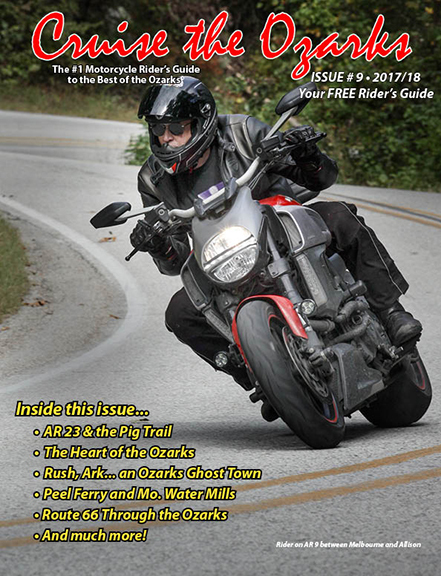 'Cruise The Ozarks' Publisher David Bell has updated his 'Cruise The Ozarks Anthology' that is available now on Amazon.com... click here to grab your copy today! 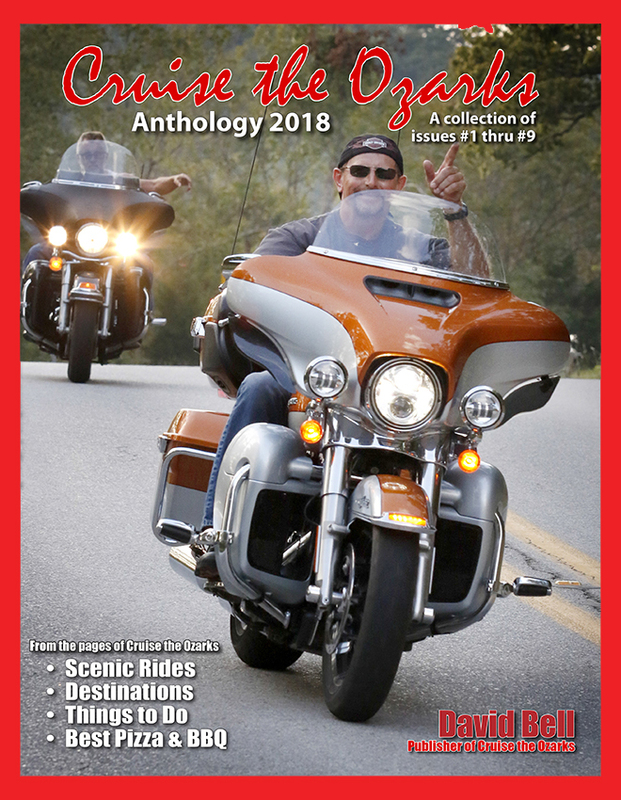 Makes a terrific gift for your favorite rider! Sign-up for 'Cruise News' and get your free copy today!